The Society for Classical Learning (SCL), the A.C.E. Student Success Center (ACSI), and the Spreading Hope Network (SHN) invite you, an influential urban educator, to join us from June 24–25 at the Austin Downtown Sheraton. This two-day pre-conference has been designed for leaders serving diverse populations, and will be helpful for Heads of School, Principals, and Development professionals, as well as new emerging leaders. The theme for the retreat is In the City for Good. Speakers and panelists will facilitate conversations around Leadership, Succession, and give context around access to Christian Education. In addition to engaging these issues, the heart of the time together will be small group “Consultancy Sessions” — where you will gather insight from fellow urban Christian school leaders on a practical or strategic issue you are facing in your school. Our prayer is that each leader will leave with renewed zeal, deepened insights, and new peers to reach out to in the future. We look forward to seeing you there and invite you to join the conversation. Click here to make your online hotel room reservations. Dr. Vernard Gant is the director of the A.C.E. Student Success Center with the Association of Christian Schools International. Dr. Gant’s department oversees over 700 Christian schools throughout the nation that target and serve academically disenfranchised, culturally diverse, and/or economically disadvantaged children (A.C.E. students). 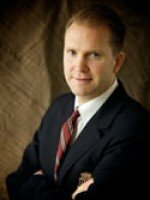 Dr. Gant is a graduate of Columbia International University, Birmingham Theological Seminary, and Trinity University. Dr. Gant has been the recipient of numerous awards including the prestigious Jeffersonian Award by the Jeffersonian Award Foundation in Washington, DC. And the Paul Harris Fellow Award presented by the Rotary Foundation of Rotary International. He helped develop two Christian schools in Birmingham, AL serving A.C.E. students and has assisted in the start-up of several similar schools across the nation. 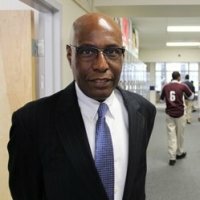 Dr. Gant has served on several boards including the Life Skills Alternative School, the National Association of Street Schools, the Black Alliance for Educational Options, the American Center for School Choice, and chaired the Colorado State Advisory Committee for the US Commission on Civil Rights. Dr. Gant has been involved in urban ministry for nearly forty years and in the parental choice movement for over 20 years. He currently resides in Colorado Springs, CO. with his wife, Cynthia. Born in Chicago and raised in Southern California, Walter’s passion is to equip people to flourish in their context from a deep commitment to God’s design. 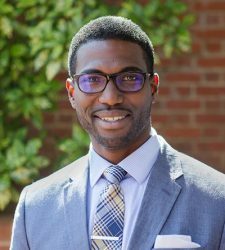 Dr. Strickland’s interests include contextual and systematic theology, African American religious history, multicultural studies, education theory, and theology of work. 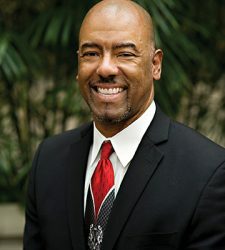 Along with being a diversity consultant, frequent conference speaker, and itinerant preacher, Walter contributes to Canon & Culture as an associate Research Fellow of the Ethics and Religious Liberty Commission (ERLC), Gospel Project, and the Biblica Recorder (the North Carolina Baptist state newspaper). 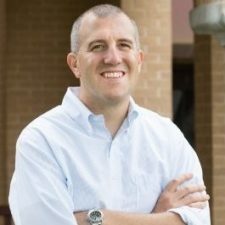 Walter’s work has also appeared in Christianity Today, Baptist Press, World Magazine and his first book entitled Every Waking Hour: An Introduction to Work and Vocation for Christians was released in March of 2016. Walter and his lovely wife Stephanie live in Wake Forest, NC. They have one daughter named Hope who is waiting to meet them in glory, and three children in the home: Kendra, Kaiya, and Walter III. Russ Gregg has served as Head of School since Hope Academy’s founding in 2000. He has been a resident of the Phillips neighborhood since 1994. In 1999, he was an administrator at Calvin Christian School in Edina, and quit his job to help lay the groundwork for a Christian school for his urban neighbors. Russ and his wife Phyllis, who teaches 3rd grade at Hope Academy, live four blocks away from the school. They have three grown children. Russ serves on the Board of Directors of the Society for Classical Learning. David Hardy had a vision of starting an all-boys charter school to address the unique academic and social needs of urban boys. 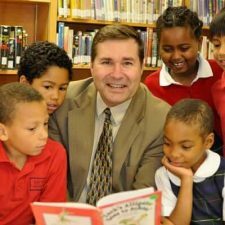 Two years later, his vision became a reality when Boys’ Latin of Philadelphia Charter School welcomed its inaugural class under Mr. Hardy’s leadership. By 2008, Mr. Hardy had led the total transformation of a former Catholic school and church into one of the most modern, state-of-the-art school facilities in the region. Mr. Hardy served as CEO of Boy’s Latin for ten years before retiring last year. His experience also includes 19 years as a teacher and administrator at Community Academy of Philadelphia Charter School. Mr. Hardy is a nationally recognized authority on charter school education and school facility financing. He has been a presenter and advisor for multiple education and school facilities conferences and coalitions. John is a native of New Orleans but moved to Austin 25 years ago to attend the University of Texas. He and his wife Ellen have 4 children, ages 5-15. John’s mission is to know Christ and make Him known, and he is passionate about doing that through urban Christian education. He is honored to serve at City School, where he has worked for 14 years. Danielle Bennette Dukes (B.S., Early Childhood Education, Florida A & M University) has homeschooled her six children from birth and is a native New Orleanian. She is married to her college sweetheart, Dion Dukes, of 21 years. She began her homeschooling journey by following the advice in Susan Wise Bauer’s book, The Well-Trained Mind, along with E.D. Hirsch’s Core Knowledge Curriculum. She later joined Classical Conversations as a parent and in director & support manager roles. She is a graduate of Circe Institute’s Apprenticeship program, where she received a certification as a Master Classical Teacher. She endeavors to guide and direct children and families of all backgrounds to integrate their faith and knowledge to cultivate Christian culture. She is the co-founder and former board member of Nyansa Classical Community, Inc. She is currently a member of the board of The Newman Idea, Inc. and Executive Director of Second Spring Atrium, Inc.
Ryan Dolibois serves as Executive Director of Yellowstone Academy. His eighteen year background in education includes teaching, fundraising, strategic planning, and executive leadership in both public and private schools. He began his career in a Houston inner-city elementary school as a Teach for America corps member, where he was named first year Teacher of the Year for the state of Texas. Ryan is a graduate of the College of William and Mary. He and his wife, Kim, have three children, and they attend Christ the King Presbyterian Church, where Ryan also serves as a member of the session. Dr. Angel Adams Parham is the Co-Founder of Nyansa Classical Community in New Orleans, an after school program that brings classical Christian learning to students from low-income communities. 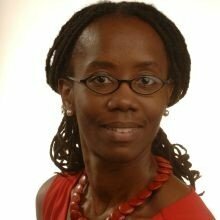 She is also Associate Professor of Sociology at Loyola University-New Orleans. Her work with Nyansa arises from her desire to combine her faith, academic training, and conviction that all education from preschool through the university levels should equip students to build sound spiritual and moral foundations. Angel’s sociological training provides an in-depth understanding of the social and economic challenges facing the low-income, African American community Nyansa serves while her Christian faith emphasizes the importance of combining this sociological knowledge with a commitment to students’ spiritual formation and the cultivation of their moral imagination. 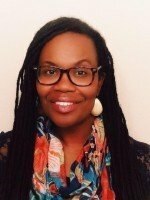 Her academic work on race and inequality resulted in the publication of the book American Routes: Racial Palimpsests and the Transformation of Race (Oxford University Press, 2017) which was co-winner of the 2018 American Sociological Association’s Barrington Moore Book Award in Comparative and Historical Sociology; co-winner of the 2018 Social Science History Association’s Allan Sharlin Memorial Book Award; and received an honorable mention for the 2018 American Sociological Association’s Thomas and Znaniecki Distinguished Book Award for International Migration. Angel is also a wife and mother of two beautiful girls who are homeschooled according to classical Christian principles and pedagogies. Dr. Peter Vande Brake grew up in Georgia and Tennessee but attended Calvin College in Grand Rapids, MI where he majored in philosophy and was a 4-time All-American decathlete. 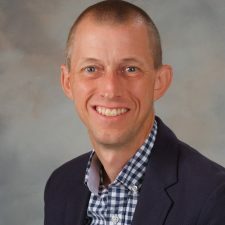 He went to seminary at Union Seminary in Richmond, Virginia and did his doctoral work at Calvin Theological Seminary in Grand Rapids obtaining a Ph.D. in systematic theology in 2000. He completed the Van Lunen Fellows Program for Executive Leadership in July of 2009. He taught, coached, and administered at North Hills Classical Academy from 1996-2010 and served as the headmaster there beginning in 1998. He is a leadership consultant for the CiRCE Institute and is the High School Principal at The Potter’s House School in Grand Rapids, MI. He is married and has two daughters. 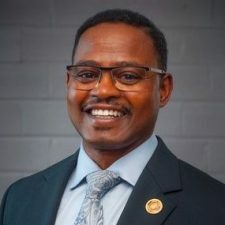 Roosevelt Wilson has a doctorate in Educational Leadership, a master’s degree in Educational Leadership, a master’s degree in Elementary Education, and a bachelor’s degree in psychology. He comes to Harbor Christian Academy from Spring Independent School District, where he served as principal his final five years and assistant principal for four years prior. He also has six years of experience as a classroom teacher. Before beginning his career in education, Roosevelt served with the United States Marine Corps. A few highlights of his 23-year tour as a Marine include Instructor at the Drill Instructor School in San Diego, CA, Administrator at the Staff Noncommissioned Officer Academy in Okinawa, Japan, and also in Beaufort, SC, as the director of the Lifelong Learning Center. He is husband to nd to Octavia, and the father of four adult children. Registrants will be contacted in advance to complete a brief Pre-Work Assignment. Vernard Gant, Robert Enlow, and David Hardy will discuss the current state of education policy and reform. A key speaker will bring a word about Leadership and the Next Generation. A group of recent school planters will share fresh lessons learned in what they’ve learned in getting a new school off the ground.